The Management Team works with the Executive Director to both oversee daily operations and provide vision for LUMCON’s continued growth. Heidi Boudreaux (Associate Director of Administration/Chief Financial Officer) is a lifelong resident of Theriot, Louisiana. She graduated from Vandebilt Catholic High School in 1992. She continued her studies at Nicholls State University where she earned her Bachelors of Science in Financial Management in May 1998. After completing college, she began her career at Louisiana Universities Marine Consortium (LUMCON) in August 1998. She has been married for 19 years to Wayne Boudreaux Jr. She has 3 sons and 1 daughter. In her spare time, she enjoys watching her sons play baseball, gardening, and traveling with her family. Heidi has also been involved in accounting support for P&E Machine LLC, DuLarge Volunteer Fire Department No. 10, and DuLarge Recreation District No. 10. 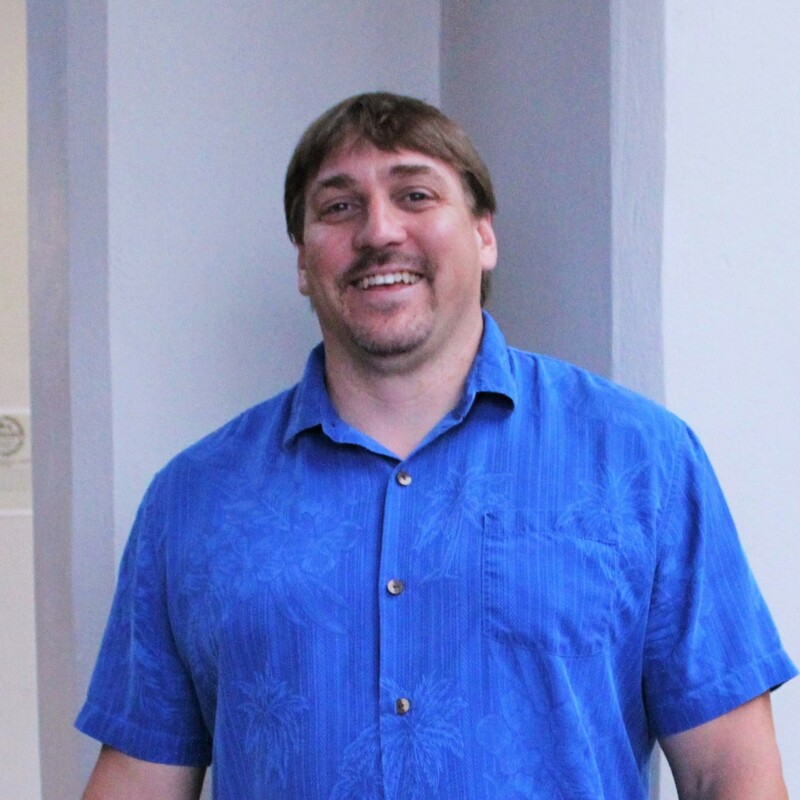 John Conover (Full Librarian/Associate Director for Library and Information Science) came to LUMCON in 2000 after working at Nicholls State University. He attended the University of Kansas, where he earned his Bachelor’s degree in History. He subsequently earned a Master’s degree in Library and Information Science from Louisiana State University. John lives in Thibodaux with his wife, Murt. Murt Conover (Associate Director of Education and Outreach) has been a marine educator at the LUMCON since 2002. Her educational experience extends a lifetime. At the age of 14 she volunteered as an educator in Michigan and since then has been an educator for many other organizations on the east and west coasts. In 2007, Murt was made the Associate Marine Educator in charge of the K-12 and teacher education. She has also served as the coordinator of the Coastal Waters Consortium’s education and outreach programs since 2012. In 2016, she was made the Associate Director of Education & Outreach. Murt received the Southern Association of Maine Educators’ award for outstanding educator in 2008 and was nominated in 2009 for the Louisiana Wildlife Federation’s Governor’s Conservation Achievement Award. 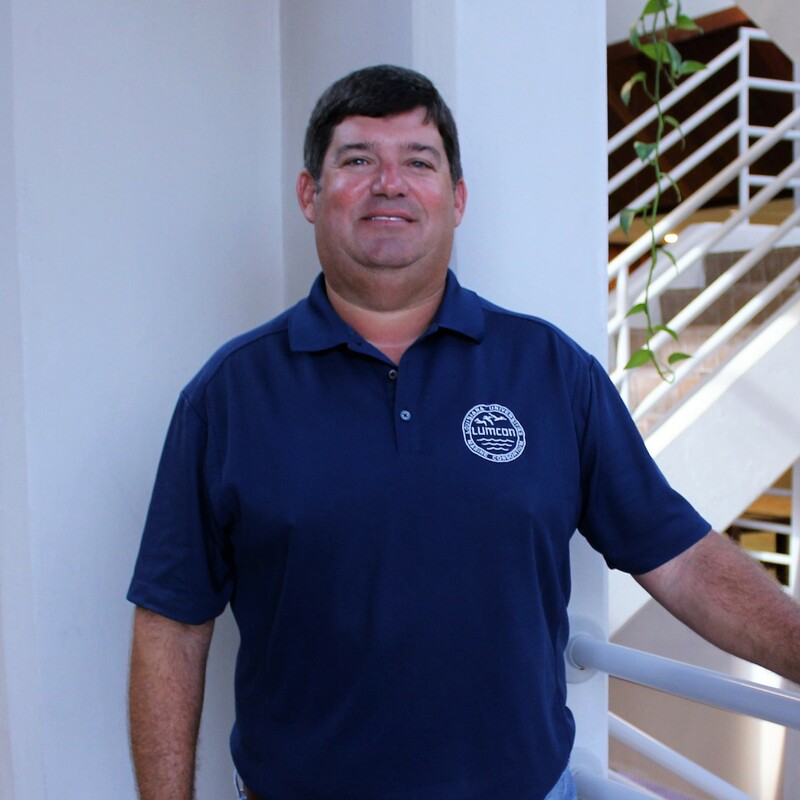 Joe Malbrough (Marine Superintendent) graduated from the University of Southwestern Louisiana with a Bachelor’s of Science degree in Aquatic Biology and Fisheries and holds a USCG 500 Ton Masters License. He began his biology career as an underwater diving consultant conducting environmental sampling on oyster reefs and working with the La. Dept. of Wildlife and Fisheries as a field researcher. He continued as a biologist for the Florida Marine Research Institute conducting research for a Fisheries Independent Monitoring Program. 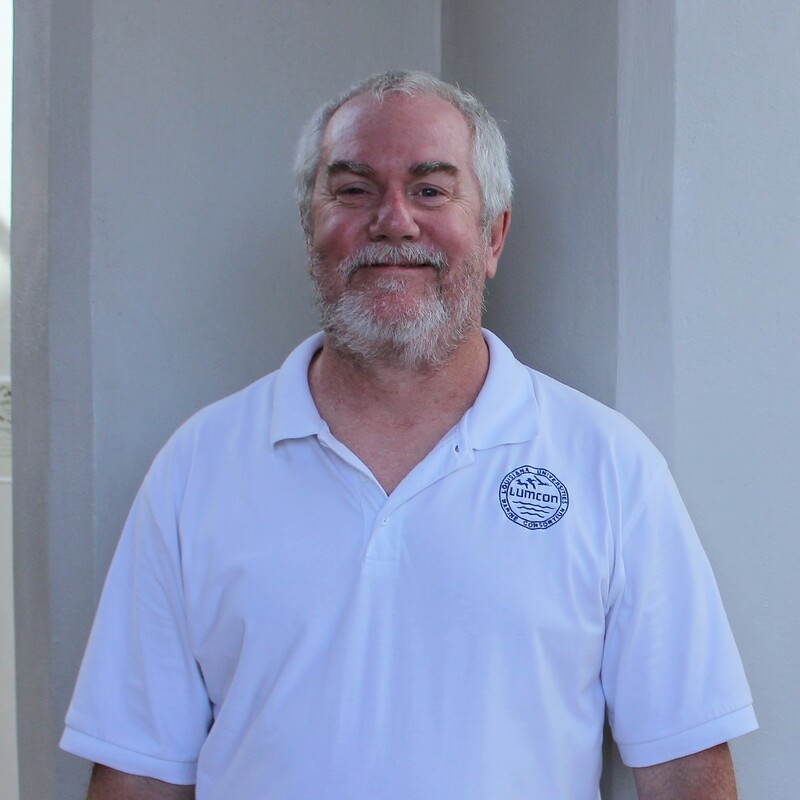 Joe worked aboard numerous fishing vessels for both sport and commercial industries before pursuing a full time job as a supply boat captain in the Gulf of Mexico. Eventually, he found his way aboard the R/V Pelican during a chance visit to LUMCON and a meeting with the marine superintendent, Steve Rabalais. He began working full time for LUMCON in January 1999 as Captain of the R/V Pelican. After five years, he became Port Captain, then was eventually named Marine Superintendent. In 2015, he took on the position of the Marine Center Superintendent overseeing the DeFelice Marine Center and Fourchon Marine Laboratory. Joe has represented LUMCON as the UNOLS Research Vessel Committee Chair and is currently Vice Chair of the Science Oversight Committee for OSU’s RCRV Design and Construction Program. Brian Roberts (Associate Director of Science/Associate Professor/REU Program Director) was born in upstate New York and spent most of his childhood in the northeastern U.S. developing his interests in science, nature, outdoor activities, and sports. He attended the College of William and Mary in Virginia, where he earned a B.S. in Biology and Philosophy, before moving to Cape Cod, MA, where he earned a M.A. in Biology from Boston University and worked as a research assistant at the Boston University Marine Biological Laboratory. After earning a PhD in Ecology and Evolutionary Biology at Cornell University and working as a postdoctoral research associated at Oak Ridge National Laboratory in Tennessee, Brian joined the LUMCON faculty in the summer of 2007. He became LUMCON’s Associate Director of Science in 2017. He lives in Houma with his wife Jennifer and daughters Sophia Pearl and Bethany Rose. 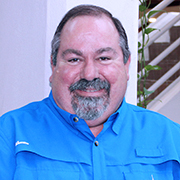 Eddie Filce (Human Resource Office/Payroll Specialist) has a Bachelor’s degree from Nicholls State University. He comes to LUMCON having over 23 years with the Louisiana Department of Labor (now Louisiana Workforce Commission). For the past 12 years he has worked in the private sector as Human Resource Manager and Recruiter. He brings a wealth of diverse experience to LUMCON and is eager and willing to share his experience and knowledge of Human Resource and Labor Laws with the LUMCON staff. He is a life-long resident of Raceland. He is married to Faith Thomassie and they have two sons and are proud grandparents to two grandsons. He enjoys the outdoors, travel, golf, softball and running. 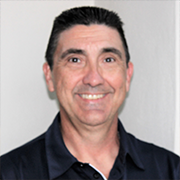 Vince Catalano (Facility Superintendent) has been involved in all aspects of facilities maintenance and oversight his entire career. He began his career working in the plumbing industry, primarily in residential and light commercial construction. Since then he has had various positions performing construction across all trades and as project manager roles for contractors. He has led facilities teams in elementary education, residential and commercial rental properties, major national retail, and hospital properties. Born and raised in New Orleans, Vince now resides in his home down one of the many bayous in Terrebonne Parish. While his interest in the saltwater marshes and beyond are more related to the recreational opportunities they provide, he is certainly intrigued by the vast and varied learning experiences here at LUMCON. Vince is married to his high school sweetheart and they have one daughter. Matt Isch (Director of Development) brings a wide background in fundraising and governmental relations to his role at LUMCON. 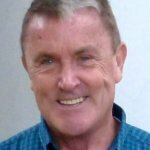 As a fundraising consultant, he has worked with clients as diverse as the Orlando Science Center, the Cummer Gallery of Art in Jacksonville and the London Symphony Orchestra. In an academic fundraising career that spanned twenty-three years, Matt held leadership positions at the Tulane University Health Sciences Center during two successful capital campaigns, the University of Cincinnati Foundation during its successful $1 billion campaign, and the University of Mississippi Medical Center as it instituted its first comprehensive development program. After graduate school, Matt worked on the staffs of the Louisiana Legislative Council and Governor David C. Treen. In recent years, he has assisted with the fundraising efforts of Lt. Governor Jay Dardenne and Congressman Steve Scalise. Matt holds a bachelor’s degree from the University of Mississippi and a master’s in public administration from LSU.